As we work regularly with over 300 students, providing IEP-based music therapy services we continue to adapt to the updated standards used as a basis for many IEP goals. 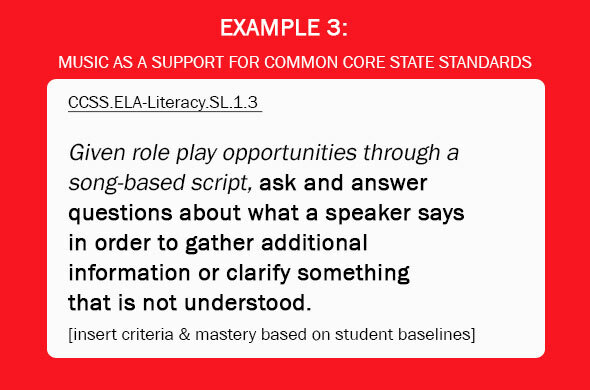 In California, the Common Core State Standards have been adopted, and in San Diego County, we are seeing more integration of these standards within IEP goals. 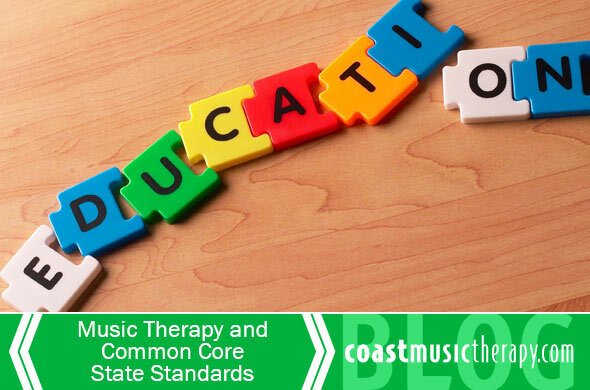 As a collaborative support for IEP goals, we have found that music therapy can most functionally support Common Core State Standards for grades K-2. Standards within this age range are less complex and abstract, making techniques such as music mnemonics for rote memorization a relevant means to teach these skills. 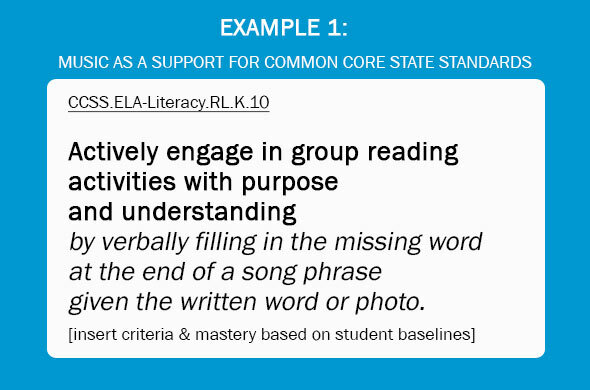 While music can be used as a cue, prompt, or technique to teach an IEP-related skill, it does not have to be specifically written into an IEP goal. In many cases, the music therapist may be added as ‘Persons Responsible” for the goals that music therapy will address. However, if music will be the primary cue in teaching a particular skill, it can be referenced within an objective or goal. One way of doing this is by including music within the ‘condition’ of an IEP goal/objective. Given a mixed 4th grade level math calculation probe…. 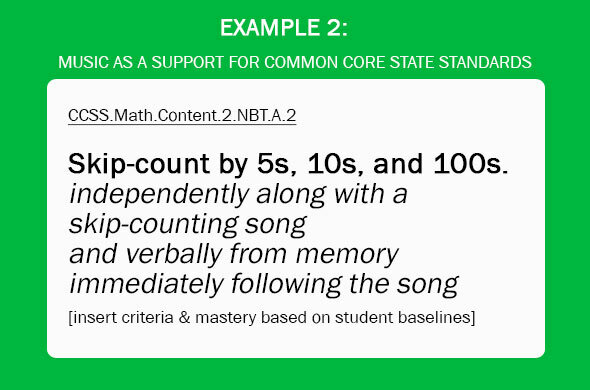 Using this format of music as a ‘condition’ within an IEP goal, we’ve included three examples of how music therapy integrates with specific Common Core State Standards. You’ll find the Common Core Standard in bold and the music condition in italics.